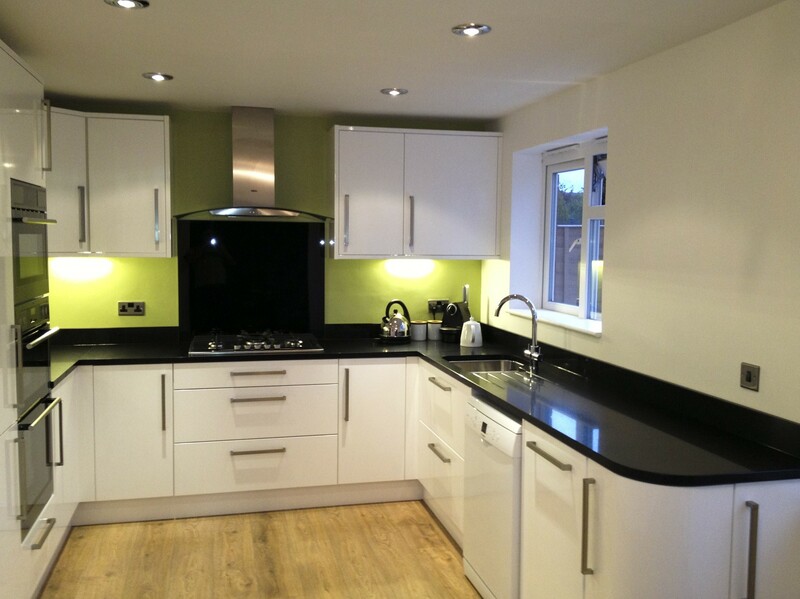 Here you can find real customer testimonials alongside the kitchen installations completed. Click the photos to see a larger image, this will open into a new window. Janice and I would like to say; to Darren and DH Installations that we are extremely pleased with the quality and efficiency of the work you did for us. The kitchen has turned out better that we could have hoped for. We are particularly impressed with the attention to detail and professionalism that was carried out. We would have no hesitation in recommending you to others. Thank you Terry Read. Darren recenty fitted our Kitchen for us, and I feel it prudent to offer my experiences to anyone who may currently be considering his services. His work was to an impeccable standard, far above that which we had originally expected. He took the time to explain his progress, and to discuss the job as it progressed. As a person, he was considerate of our living requirements, and never failed to commit himelf to our job, while offering advice and humour along the way. His workmanship really is quite exceptional. Seeing his precision and attention to detail was a privelege. I would have absolutely no hesitation in recommending him or his work. Nicola Astle Derby. Darren Hewitt of DH Installations fitted our kitchen for us. He did a fantastic job & we were really pleased with his work. Darren did his best to minimise the disruption to the household while the kitchen was being fitted. He was always punctual, polite & professional. He worked hard all day long to make sure the job was completed as quickly & efficiently as possible. He left each day having cleared everything up so we weren't living in a mess & he was a true perfectionist. I can't recommend Darren highly enough; we were really pleased with every aspect of his work.Helen Levé. Darren Hewitt did a fantastic job of transforming our kitchen. We had 2 separate rooms before - kitchen and dinning room and we wanted the dividing wall knocked down so it became one large kitchen/diner with all new units, radiators, lights etc. Darren delivered in a professional and timely manor with exceptionally high standards. Our kitchen looks wonderful now, we are so pleased with it.